Paul Francis Urbanski, 80 years, of Berwick, ME died February 4, 2019 at Brigham and Women’s Hospital in Boston, MA. Paul was born April 12, 1938 in Salem, MA a son of Frank and Stacia (Dobginski) Urbanski. 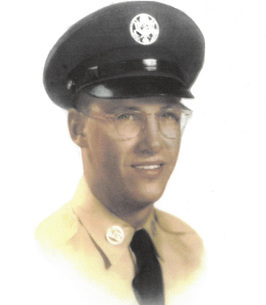 He graduated from Salem High School and went on to serve his country in the U.S. Air Force from 1957-1961. He received technical training at Chanute Air Force Base in Illinois and was transferred to Dyess Air Force Bae in Abilene, Texas where he served as a welder working on military aircraft. These included the B47E, C124C, KC97G, WB50, and the F-86D. As a result of these experiences in the Air Force, Paul developed an avid interest in building detailed scale models of military vehicles like modernized artillery, tanks and especially warplanes, many of which he either saw or worked on himself. After his service, Paul worked for C.T. Perkins Engineering in Hamilton, MA, Process Engineering in Plaistow, NH and retired from Valmet in Biddeford, ME. On September 23, 1967, Paul married Ann S. McNair, celebrating 51 years together in marriage. In addition to his family, Paul loved fishing and hunting. He enjoyed target shooting and watching WW II documentaries. He enjoyed reading, especially the works of William W. Johnstone and his stories of the mountain men and westerns starring John Wayne. He also enjoyed crossword puzzles and word finds. John was a member of the Charles S. Hatch, American Legion, Post 79. Paul was predeceased by his parents; daughter, Lianne; and his brothers, John, Edward and Thomas Urbanski. Paul is lovingly remembered by his wife Ann; his daughters, Sheri Urbanski and Kelly Urbanski, both of Berwick; his brother, Theodore Urbanski and his wife, Mary of Salem, MA; his sister, Regina Polakiewicz of Salem, MA; numerous nieces and nephews; friends; and this list would not be complete without mentioning his grand dog, Donnie. Friends may visit from 11 am – 12:30pm on Monday, February 18, 2019 at Laing-Bibber Funeral Chapel, 36 Rochester Street, Berwick, ME. Military honors will be recognized with an American Legion service from the Charles S. Hatch American Legion Post #79 immediately following the visits. A memorial service will then follow at 1 pm with Rev. Father Andrew Nelson from St. Ignatius Parish of Loyola. Interment will be held in the spring with full military honors at the Southern Maine Veterans Memorial Cemetery. Additional Information	The visitation will conclude with an American Legion Service, Charles S. Hatch, Post #79 to honor Paul's military service and membership with the American Legion. The memorial service will be celebrated with Rev. Father Andrew Nelson from St. Ignatius Parish of Loyola. Interment will be held in the spring.